Some people enjoy cleaning their walkways, parking garages, and parking lots. What they might not know is that they can receive a rather large fine for the EPA (Environmental Protection Agency) or other government agencies, if they allow oil and grease to enter into the storm drain system. Crest Cleaning Services provides Seattle pressure washing, and we can help. We specialize in environmentally friendly pressure washing that complies with all local, state, and federal regulations dealing with the disposal of waste water. Therefore, our customers get sparkling clean surfaces without any problems. We guarantee that, much the same as the rest of our work. Our Seattle pressure washer services include, but aren’t limited to, cleaning fences, carport floors, garages, sidewalks, driveways, patios, concrete, sidings, gutters, roofs, porches, decks, parking lots, building exteriors, signs, storefronts, windows, and gutters. In the exterior cleaning business, we are continuously dedicated to maintaining the highest level of customer satisfaction. Understanding our customers’ requirements and developing relationships with them allow us to provide the highest quality services at value based and competitive prices. Crest’s Seattle pressure washing service uses only use the very best quality equipment to clean, protect, and restore our customer’s property surfaces and only use environmentally friendly products. Removing unsightly contaminants such as moss, mold, dirt and surface oxidization from the exterior of our customer’s property will add value to that property, ne more inviting to guests, and increase curb appeal. 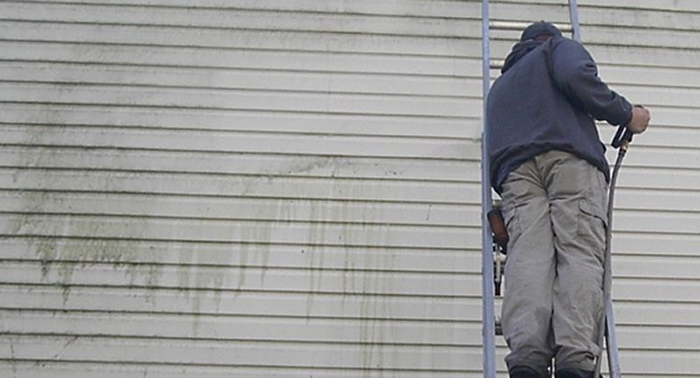 Crest Cleaning Services offers Seattle pressure washing and our services include concrete cleaning, pressure washing, window cleaning, deck restoration, gutter cleaning, and gentle house washing. Many of our customers have trier pressure washing themselves and determined either they didn’t enjoy the exercise or something didn’t turn out the way that they expected. Because the weather usually isn’t that great around Seattle, WA the majority of our customers elected to use our services. There is a big difference between pressure washing a concrete driveway or a brick home than somebody who has only rinsed or lightly washed a vinyl sided house. Sometimes even the easiest of jobs turn out to be more difficult than expected. For instance, cleaning a fence in the Northwest should be a relatively easy job. However, if too much pressure is applied hole can be gouged it the wood or it can become burnt. The end result it that the fence looks worse after being pressure washed than it did originally. This is just one of many reasons that it only makes sense to hire a professional pressure washing contractor. Crest Cleaning Services provides Seattle pressure washing and we are well trained experienced, and knowledgeable professionals who do pressure washing for a living every day of every week of every year. Our customers won’t hire a pressure washing contractor just because they has a pickup truck with a water tank on the back or they claim to have an inexpensive price. They know that they won’t necessarily get a quality job or save any money. Much the same as any other business, a professional pressure washing contractor will have verifiable references that can contacted to determine what can be expected as far as customer satisfaction is concerned and that they are a legitimate business. They will also have insurance to cover any situation where damage could occur to property or a house. Our customers learned the hard way to ask for references anytime somebody at their door asking if they would like to have their sidewalks or driveway cleaned, deck cleaned, or house washed. This is an important question before they let just anybody loose with a 3000 psi pressure washer. If industrial pressure washing equipment is used, there will be superior cleaning. The pressure washing should eliminate grime, algae, mildew, and moss. In addition, if the teams are well trained there shouldn’t be any property damage. The best way to have the exterior of a business or home looking like brand new is to use an industrial grade pressure washer, which is what we use. In order to make sure that our customer’s property isn’t damaged when being pressure washed, our experienced pressure washers use many different methods. Crest Cleaning Services offers Seattle pressure washing and have numerous years of experience and are insured and licensed. We provide professional residential pressure washing service as well as commercial pressure washing service. We can provide a complete range of pressure washing services for businesses and houses alike. Our state-of-the-art pressure washing equipment is operated by a field technician who has many years of experience in commercial cleaning services. We believe that we have a lot to offer our customers in the Seattle area. We also believe that our customers are interested in our products and services for all of their exterior cleaning jobs. Contact us for a no obligation, free estimate or for additional information.